Like the back injury, the neck injury involves the spinal column. The pain experienced can be mild to excruciating. Regardless of the severity of the pain at first, any amount of pain that persists over a period of time could mean a serious injury and should be handled accordingly. This is because even mild pain in the spine that persists over a period of time often means a very bad medical condition for the injured worker. Therefore, anyone experiencing pain who believes it is work related should report it right away and demand medical attention for it. But do not allow the medical doctor, nurse or physicians assistant at the industrial clinic do a quick exam and send you o work with a clean bill of health. Pain in the cervical spine of any degree that persists probably should be examined by the use of an MRI machine diagnostic with a medical radiologist interpreting the results. If an MRI is not ordered at the industrial clinic, it is probably wise to seek counsel with an experienced Fontana California workers compensation lawyer to start protecting your rights. If your cervical spine is damaged, surgery may be required in the future meaning a bigger workers compensation claim that needs to be protected by an attorney from day one so that you keep your livelihood. The cumulative trauma results from repeated job duties such as bending, lifting, pushing and pulling. When repeated work leads to persistent pain, an industrial injury could be present. Under California work comp law, cumulative trauma injuries are covered just like any other type of job related accident. However, many insurance companies treat these types of claims very negatively and often deny them outright even when they are substantiated by medical and factual evidence. Therefore, it is important to consult with and obtain representation from an experienced Ontario California work injury lawyer to help you with a serious case such as one involving cumulative trauma to the upper spine. These cases are serious because they often needs extensive medical treatment (possibly surgery) and lead to significant lost time from work and future earnings. Should you experience a specific event in the course of employment that leads to a neck injury, tell your employer and seek immediate medical attention. When such incidents happen, the case is usually accepted by the work comp carrier. However, do not necessarily trust the treatment you are receiving or believe that the insurance carrier to care about your pain or inability to do your job because of it. They follow rigid rules that could require you to go back to your job in severe pain and even leave you without any compensation for your case at all. Before this happens to you, make sure you contact a local attorney in the area of Rancho Cucamonga California to represent your interests. Waiting can be a huge detriment to your case because it gives the insurance carrier time to make adverse moves against you. 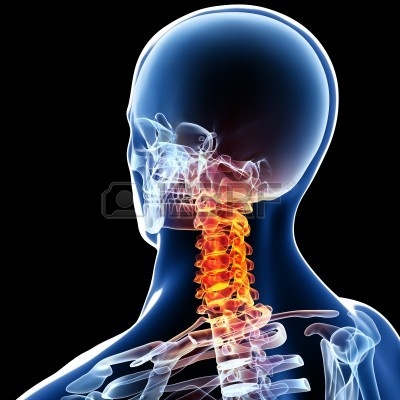 If you have neck pain and believe you have a California workers compensation law claim, call us right now! Alexander Napolin, Attorney at Law, is standing by to speak to you over the phone at no cost to you about your circumstances to see if he can assist you. Those who he feels he can assist meet in his office to discuss goals and their case before the case is filed in court. Call us right now at 1 (909) 325-6032 or email us using the form located at workerscomplawyerie.com.